By Garett Sloane . Published on January 20, 2017. Google is going to let advertisers target YouTube ads based on people's search histories, giving brands a whole new perspective into the consumer mindset. On Friday, Google announced updates to its YouTube offering for advertisers, including a promise of new measurement tools to help marketers understand their campaigns. But it was the introduction of search data into the targeting of YouTube video spots that most intrigued advertisers. "There has been targeting on YouTube based on what videos people watch there," said one top advertising exec, speaking on condition of anonymity because of a close relationship with Google. "Now, for anyone logged in, their search history can be applied to targeting on YouTube. There's some interesting possibilities there, and it greatly expands the audience advertisers could reach." Google's search data is considered among the most powerful information for guiding advertising, but Google has kept it under tight wraps, careful when applying it toward ads outside the search experience. Google faces extra scrutiny from regulators and privacy advocates when it comes to collecting consumer data and applying it to its ad products. For years, the company kept a wall between search and other ad products, but increased competition from Facebook has made that commitment impractical. Google declined to comment for this story, but did post a blog statement on Friday. Google users can turn off ads personalization in their settings. "As more viewership on YouTube shifts to mobile, we're making it easier for advertisers to deliver more relevant, useful ads across screens," Diya Jolly, YouTube's director of product management, said in the blog post. 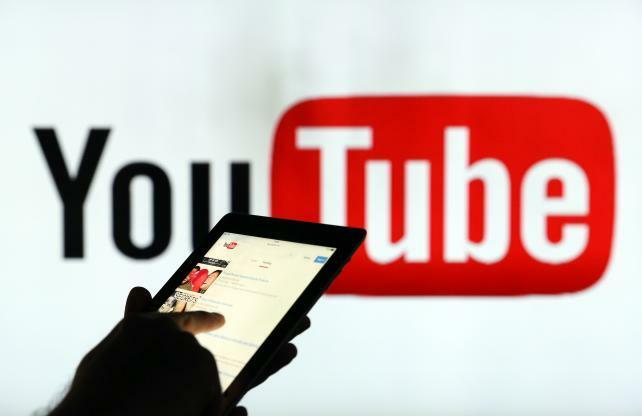 "Now, information from activity associated with users' Google accounts (such as demographic information and past searches) may be used to influence the ads those users see on YouTube." Ms. Jolly described how someone searching for a winter coat could then see an ad in YouTube from a retailer. Google said that more than 50% of YouTube video is viewed on mobile devices. Google also revealed that it was working on a "cloud-based measurement solution" over the next year, to give advertisers more information into how their campaigns perform but balancing that with consumer privacy. The measurement development appears to be a nod to the advertising uproar over the past few months, in which brands have begun to question the accuracy of the numbers coming out of the platforms like YouTube and Facebook. "With this new solution, advertisers will have access to more detailed insights from their YouTube campaigns across devices, so they can better understand the impact of their campaigns on their highest-value customers," Ms. Jolly's blog post said. "For instance, a car manufacturer could get a rich understanding of how YouTube ads across devices influenced a specific audience (like previous SUV buyers)." CORRECTION: An earlier version of this article incorrectly referred to Diya Jolly, YouTube's director of product management, as "Mr." on second reference instead of "Ms."